The economic recession has increased the number of people wanting to start businesses, according to Bloomberg, and the Shoestring report focuses on starting a pet sitting startup business. Americans spend at least thirty billion dollars a year on their dogs and as they get busier with jobs and personal life, the need for pet sitting and doggy day care services is real and becomes a high profit margin business. According to a new report from Shoestring Publishing, Americans spend at least thirty billion dollars a year on their dogs and as they get busier with jobs and personal life, the need for pet sitting and doggy day care services is real and becomes a high profit margin business. Justin Douglas, expert researcher for Shoestring Publishing, says "There has never been a better time than today to open your own profitable doggy day care center. As more and more families become dependent on two incomes to survive, the doggy day care industry skyrockets. Some centers gross above average incomes per year and many efficient operators can bring in to the bottom line as much as 40% net profit, even more for home based centers." Because of this interest in starting a pet sitting business, Shoestring Publishing has created a course on how to start a doggy day care startup business, the report says. Mr. Douglas says that the doggy day care is much like a home daycare center for kids, and is simple to understand. The course from Shoestring Publishing is taught by teachers who have actually started this type of business and who also have many years of successful experience in starting a startup business, even as a home-based business. "It's a simple concept really, pet owners will drop off their dogs with you on their way to work or to run errands or to go to the gym, whatever the need is," Mr. Douglas says. "Some customers will come every day! Most 2-3 days a week. It's a win-win. The dogs get out and get to play so they don't mess up the house and the owners feel good about taking care of their animals. The market is huge! With 40 Million dog owners in America we are a nation of dog lovers. Even in a bad economy Americans spent over thirty billion dollars on their dogs last year." The course has bonuses that cover accounting, legal information, marketing, social media training for Facebook and Twitter marketing, and startup business boot camp training. The entire course is taught so that the average person can quickly get their doggy day care startup business up and running. "People need help with their pets now more than ever," Mr. Douglas says. 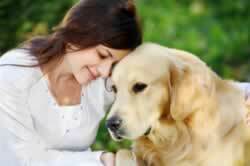 "Most families have both care givers in the workforce and no body is at home all day with their pets. That is why so many people are turning to doggy day cares." Shoestring Publishing has many other courses in various niches to help entrepreneurs and average people start a startup business. For more information, visit the website for the course "How To Open A Doggy Day Care" from Shoestring Publishing. Shoestring Publishing (http://www.ShoestringStartups.com) is the premier online publisher of "extra income opportunities" that anyone can use to earn additional income. Unlike 99% of the so-called "opportunities" that promise to make millions overnight, the Shoestring Publishing mission is to show legitimate methods to earn a little extra income in a short period of time. Shoestring Publishing brings the very best in business startup courses to the public. They don't promise to make their students millionaires, but they do promise to show REAL strategies for earning extra cash that don't involve any special skills or a massive learning curve. All students need is an internet connection, an open mind and a willingness to learn.